This was my first attempt at making pizza. I am not a pizza person, but after this time I am starting to appreciate homemade pizza. My step daughter is back with us for the summer holidays. Pepperoni pizza is her favourite. She really enjoyed this recipe, so, I guess it is successful. The pizza crust is a bit thick as my step daughter loves thick crust. 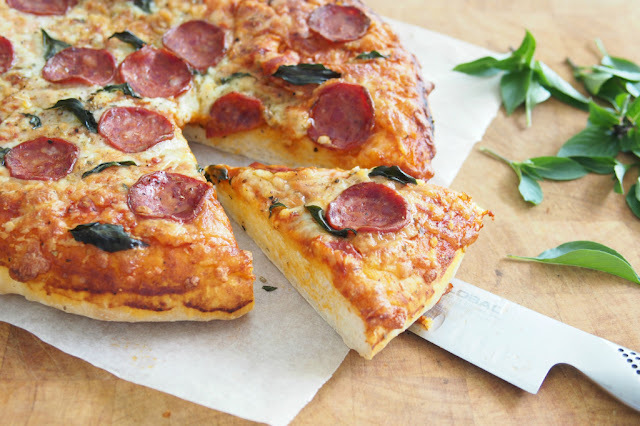 You may use the below Pizza Crust recipe for two 10” thin crust pizza. Turn the dough out onto a lightly floured surface and form into a ball. Roll the dough out 11-inch diameter. Place on a lightly greased pan or non-stick baking paper. 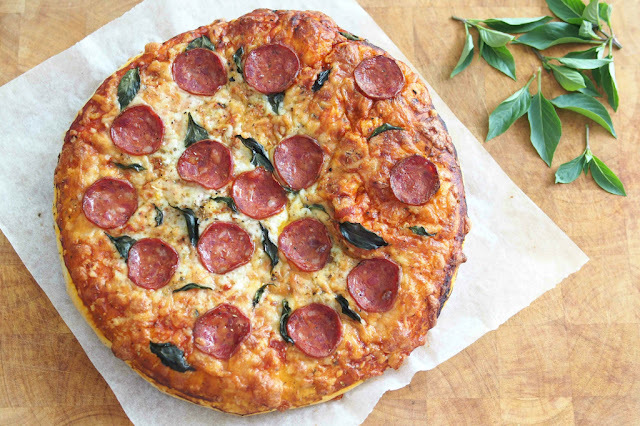 Brush the olive oil over the entire top of the pizza dough. 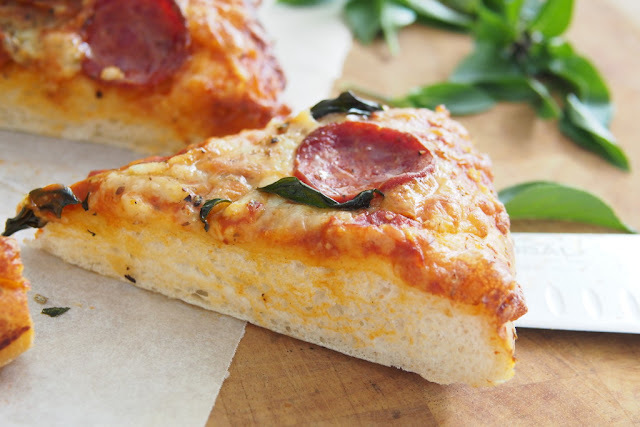 Spread an even layer of pizza sauce over the pizza. Top with the pizza topping cheese. 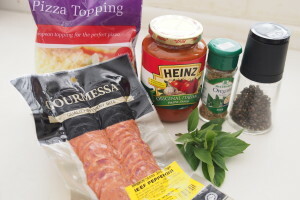 Place the pepperoni slices and basil leaves. Remove from the oven and allow to cool for 5 minutes before topping with dried oregano and black pepper. Slice and serve immediately.